Posted by Yilan in Australia, Yunanistan. A damning report in The Australian, linking the Greek community to neo-Nazis has outraged the community. The report that appeared in Thursday’s edition of The Australian, entitled ‘Greek neo-Nazis set up local chapter’ also appeared on the front page of the newspaper with members of Golden Dawn holding Greek flags. The article which reported the right-wing extremist party Golden Dawn (Chrysi Avgi) have set up an Australian chapter has sparked an outcry by the community who have suggested that these discussions may be a “media beat up.” As it stands, Golden Dawn do not appear to have set up a local chapter but this report has created a premature discussion about this based on the Facebook page Xrysh Avgh Melbourne (Golden Dawn Melbourne). Panayiotis Diamadis, Australian Hellenic Council NSW, Media and Policy Director, went as far to say the report in The Australian associating the term neo-Nazi with the Greek community was damaging for the community. “The very fact it’s on the front page, Greek neo-Nazis with the Greek flag associated it is enough for [readers] to glance at the page and make the association which is very dangerous for our community,” Mr Diamadis tells Neos Kosmos. By discussing a Facebook page, Mr Diamadis says this does not mean that Golden Dawn have in fact opened a local chapter in Australia, as the newspaper report suggests. He says that the article is nothing but a “media beat up” and “just because someone has created a Facebook page…it’s hardly what you would call an organisational branch office”. Bill Papastergiadis, President, Greek Orthodox Community of Melbourne and Victoria also believes that this may be a “media beat up” but is also vehemently opposed to Golden Dawn having a presence in Australia. 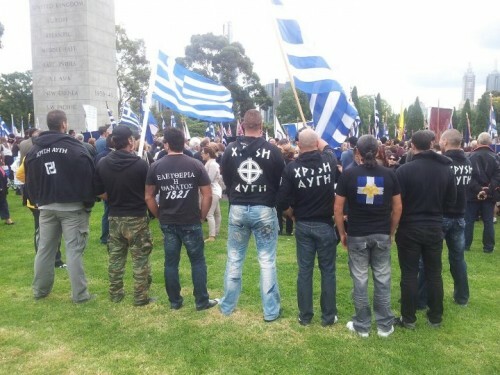 The Facebook page entitled Xrysh Avgh Melbourne (Golden Dawn Melbourne) was picked up by reporters at The Australian who contacted members of the Greek and Jewish communities about their concern of this party creating an Australian following. But since Thursday’s article, the Facebook page has either been removed by its administrators or Facebook itself. Facebook has the authority to delete pages they believe insight racial vilification. The Facebook page attracted more than 2500 followers, most of whom came from overseas. There were no contact details for the creators of this page, nor did any members put their names or faces to any of the comments. The group were planning to hold meetings to discuss nationalistic policies and widen their appeal outside of Greece – targeting one of the largest Greek communities of the diaspora – Melbourne. They stated that they would translate articles from Greece for their English speaking audience to allow the “Hellenic diaspora to understand the political and [sic] destruction being caused to Mother Hellas”. The article itself has sparked a new concern within community leaders and politicians who have condemned any presence of the party Golden Dawn (Chrysi Avgi) in Australia. They state that the racial ideologies the party possess have no place in Australia. 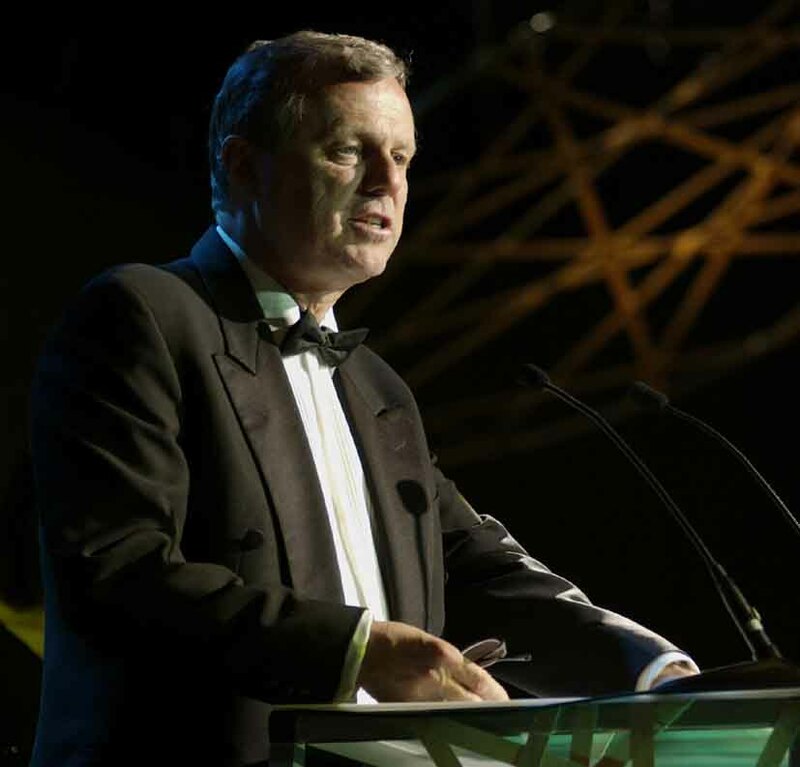 “The story of migration of Greek Australians to this country has been a success story and our involvement and participation in Australia has underpinned – to a substantial degree – multiculturalism,” he tells Neos Kosmos. Jeremy Jones, Director of International and Community Affair, Australia/Israel & Jewish Affairs Council, says that the Jewish community is aware of Golden Dawn’s emergence in Greece and finds it concerning. He went on to say that because Australia is a country where people are either born overseas, or have their roots in other countries that “political movements which have no direct relevance to Australia” may surface. The emergence of this Facebook group has alarmed members of the Greek community in Australia. “There is absolutely no place for Golden Dawn in Melbourne,” the Minister for Multiculturalism and Citizenship, Nicholas Kotsiras tells Neos Kosmos. In June this year, Neos Kosmos reported on the purported presence of Golden Dawn in Australia. This report detailed comments made by Golden Dawn MP Ilias Panagiotaros to the ABC in May, stating that “three or four offices are going to be formed” in Australia. Posted by Yilan in Australia, Macedonia. AN ethnic group has accused the state and federal governments of racism for changing its identity. A Macedonian community organisation has told a state parliamentary inquiry moves to rename the group and its language as Slav Macedonian had resulted “in immeasurable damage to the community”. There is a bitter dispute over ownership of the name Macedonia. Greece argues that Macedonia is Greek and objects to the name being used by the Republic of Macedonia. Macedonia was admitted to the United Nations in 1993, but is known as The Former Yugoslav Republic of Macedonia. The Australian Macedonian Human Rights Committee has told the inquiry into Victoria’s human rights charter Macedonians had suffered from state and federal orders to change the community’s name. The “Slav” prefix was seen as racist by the community, it said. “Everyone is treated equally, my number one priority is peace and harmony,” he said. IMMIGRATION Minister Chris Evans has been ordered to issue a visa to a Macedonian farmer despite the fact he arranged a sham marriage. Sadik Selimi, 55, was refused a visa in 2007 after it was discovered he married an Australian woman in 1995 and paid her $25,000 in an attempt to stay in Australia permanently. But after a long legal battle, led by his adult Australian daughters, the Administrative Appeals Tribunal has ordered Senator Evans not to refuse the visa to Mr Selimi. The tribunal found that although Mr Selimi had engaged in “illegal and morally reprehensible conduct” over a number of years, the offences were not serious enough to warrant rejection of his visa application. In a decision handed down by Graham McDonald, the tribunal ruled that although Mr Selimi was convicted in 2000 of 10 offences in relation to the sham marriage, he was unlikely to reoffend and presented “no threat to the Australian community”. Mr Selimi, who was born in Macedonia and is of Albanian descent, came to Australia in 1994 for his daughter’s wedding. 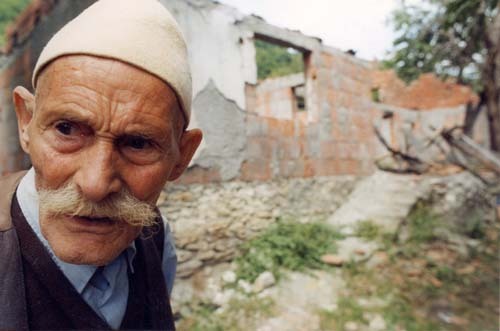 He returned to Macedonia in March 2001 after failing to secure a protection visa. Mr Selimi had pleaded with Australian authorities to give him protection to “escape from the persecution and discrimination suffered by me and all other Albanians at the hands of the Serbs”. His application was rejected. The current legal fight was over an application for Mr Selimi to be given a parental visa, now three of his daughters live in Australia. The tribunal noted that when Mr Selimi lived in Australia between 1994 and 2000, he worked in a market garden, where he was regarded as hard-working, thoughtful, honest and reliable. SOUTH Australian Premier Mike Rann has been cleared of racially vilifying the people of the Republic of Macedonia. The Human Rights Commission found Mr Rann had no case to answer for claiming the Macedonian state was stealing Greek history and culture, an accusation the Premier made in a speech at a Greek festival in Adelaide last year. In the speech, Mr Rann also accused Macedonian President Gjorge Ivanov of “stirring up trouble in a most dangerous way” with Greece. The comments sparked a complaint to the HRC by South Australia’s Macedonian community but judge Catherine Branson ruled it to be “lacking in substance”. Mr Rann said he abhorred racism and his criticisms were directed at the policies of the Ivanov government, not Macedonians. “I stand on my record of racial and ethnic tolerance. I will not be intimidated by anyone from speaking forthrightly on behalf of historical truth,” Mr Rann said.